Want something out of the crowd? This Golden floral bouquet is a sure shot formula to spread the magic of love. 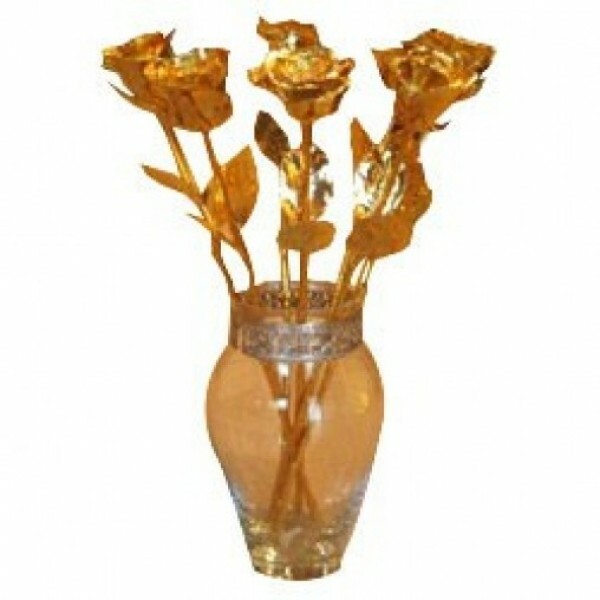 Opt for these wonderful, 6 Gold Sprayed Roses (6 Inches) in a Beautiful Crystal Vase. We are short of words to explain its beauty, come and experience it yourself.